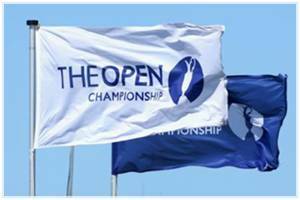 I hope you had the chance to watch an exciting last day at The Open Championship. There were some complaints prior to the event about the rough and bunkers. I’m not sure why the players complain. Surely the purpose of the rough or a fairway bunker is to affect some sort of penalty.It seems to me that making the rough and fairway bunkers penalizing forces the players into a much more interesting game. It also increases the risk / reward decisions they are taking and places much more emphasis on course management. The same goes with greenside bunkers. If the modern Tour Professional says, “If I’m going to miss the green, I’d prefer to miss the green in a bunker,” then what is the point of the bunker? There was also game management required in some of those greenside bunkers. If you didn’t see it then you will have missed Tiger, who was playing conservative golf, take a big risk when up against the lip of one bunker. He triple bogeyed the hole. Conversely, Graeme McDowell found himself in a similar situation, played backwards, away from the flag, to a more favorable place in the bunker. Then he got up and down in two for a bogey, not a triple. As well as the game management challenges, Tiger struggled all week with distance control on his Wedges. Distance control with your scoring clubs is critical. For the next few weeks, try and find 15 minutes to practice and build a good understanding of what distance each swing length will produce with your scoring clubs. Contact us if we can help. To close, I thought the manner in which Ernie Els handled his victory over Adam Scott, and the way that Adam Scott seemed to handle his loss, was all about the ‘class’ that sets our game apart. They were an example, in victory and loss, to us all. To deliver extra length off the Tee, we could improve your swing path and contact or add length to the shaft in your Driver. If we can improve your swing path so that you are coming at the golf ball on an inside-to-out line, bringing the club face square to the target line at impact, you will create a faster ball speed and a straighter ball flight. Both add up to extra yards. If that includes increasing a low launch angle and lowering the spin rate on the golf ball, then there is another big increase in distance. Besides making hotter faces that transfer more swing speed energy to the golf ball, manufacturers have used simple physics to help you hit the golf ball further. The shaft length on a Driver used to be 45″. It has now been increased to 46″, and sometimes more. It’s simple physics then. The club head travels faster at 46″ from the center of rotation than it does at 45″. Of course, with a longer shaft, it is harder to hit the golf ball out of the sweet spot. 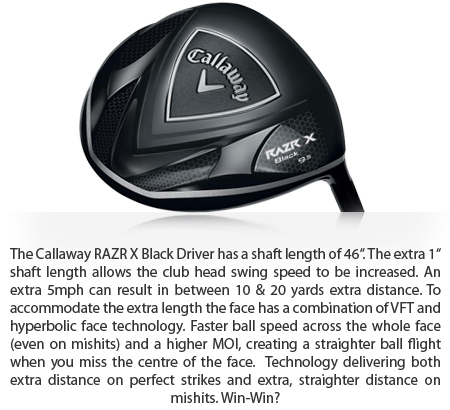 That’s why forgiveness across the face and a higher MOI are now so important in your Driver. The forgiveness allows balls hit higher and towards the toe (the usual miss by most golfers) to lose only a few mph in ball speed and still launch higher. But imagine the impact of getting the best of all worlds. Improving your swing. Improving the technology you use. Finding the perfect fit and, if you’re truly committed, increasing your flexibility. There is a good reason I would like to make sure every one of our golfers play with a fitted set of Irons: better shots, more enjoyment and improved scores. That goes for every single golfer, whatever your handicap. The diagram below shows just some of the basics we are looking to get right when fitting you for a golf club. You may be interested to know that for any #6 Iron there is well over 100 variations of the same model (that is a combination of the different shaft lengths, flexes and type along with the different lie angles) before we think about different grip sizes. I am talking just basic, standard, brand components here, NOT all the exotic variations that the better golfer may be interested in. With well over 100 variations on any standard Iron, is it any wonder that so many golfers are playing with an Iron that makes it difficult to hit straight shots on a good launch angle? There are so many parts in the diagram above that impact your ability to get the club head back square to the target line on the right swing path. You need to get fitted when buying Irons; and get fitted with someone, who is going to live with your result. That’s us. Contact usnow if you think an Iron Fitting might make your golf more enjoyable with lower scores. This entry was posted in golf, golf instruction, golf tips, sports and tagged sports. Bookmark the permalink.